HKC has honorable to provide an Ekahau Location Tracking System (Wi-Fi Location Based Tracking System) for Sik Sik Yuen. 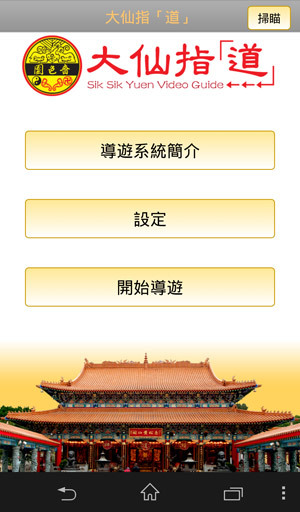 Sik Sik Yuen has set up a Wi-Fi network in Wong Tai Sin Temple to support 250 visitors to have wireless Internet access. 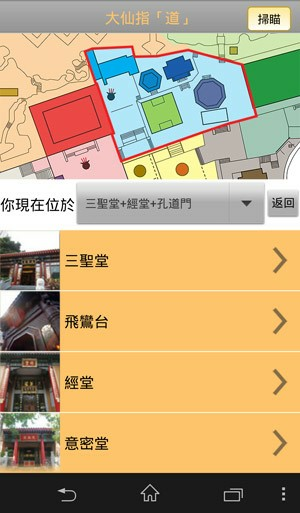 Real Time Location System (RTLS) with 100 connections concurrently via Sik Sik Yuen Wi-Fi network and its self-developed mobile app provides tour guide service to visitors. It is required to download “Location Positioning Apps” through Android platform before performing self-tour guide function. With association to an AP for all communications with the positioning Engine server, the App is able to measure the signal strengths from the nearby APs and reports the result to the Positioning Engine server over the network. The entire RTLS solution allows complete management and tracking of Wi-Fi tags, location-based notifications, alerts and reports with the third-party application. With the App application, it provided convenience for visitors during the visit in Sik Sik Yuen and it also enriched their touring experience.